Mental Health Challenges cause £26.1 billion of lost earnings every year in the UK. 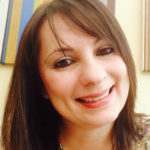 Zulay Newell of Mobile Craft 4U, AngelaLoveridge of Global Mobile Origami and Dr. Lizzie Burns of Anti-boredom Campaign are joining forces with paper manufacturers, printers and Mental Health Charities to slash this figure. By creating a unique range of Origami paper printed with original art work and crystalline forms of happiness producing chemicals, serotonin (sunlight), oxytocin (hugs and kisses), dopamine (joy of finding what we seek) and endorphin (regular exercise) people will literally be able to fold happiness. Via a combination of workshops, interactive website, cards designed specifically for mental health, a library with quotes and original poems where people can get inspiration and DIY kits Origami Pulse will revolutionise communication of emotional states and how manufactured Mental Health Challenges are dealt with by modern society. We will include working with adults in hospital to help stimulate the mind and to help them feel cared for. Mobile Craft 4U Community Interest Company is a user led group that was developed from our own personal experiences of mental health recovery by using craft to improve wellbeing. Re-wrapped was founded in 2011 and specialises in designing and producing a range of top quality wrapping paper and other products, made solely from 100% recycled paper. I’m Zulay Newell from Mobile Craft 4U, together with Dr. Lizzie Burns (Anti-boredom Campaign) and Angela Loveridge (Global Mobile Origami) we are Origami Pulse. Fusing the ancient art form of Origami with modern manufacturing and communication processes, we are creating solutions to mental health challenges which affect 1 in 4 people and cause £26.1 billion of lost earnings per annum in the UK alone. Angela and I met through the British Origami Society and made contact with Dr Lizzie after we listened to her on the radio talking about Origami and the Anti-boredom campaign. 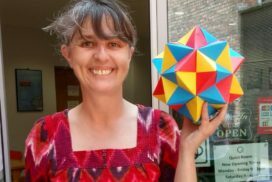 It transpired that we were all involved in teaching Origami to hospitals, to the elderly, and to disadvantaged groups in different parts of the UK. 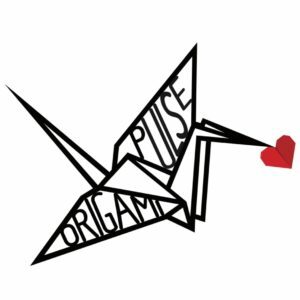 Sharing the same passion of the benefits of Origami for mental health we then developed our project Origami Pulse. Angela participated in The Festival of Beautiful Ideas in April 2017 organised by The Beautiful Ideas Co. CIC which is delivering OpenMaker in the UK. Applying to the OpenMaker was a great opportunity as we were already creating Origami cards and building links with the eco-friendly paper manufacturer Re-wrapped in London. What are the main strengths of your partnership? Paper is in reduced demand and we are engaging paper producers with a new perspective, bringing paper back into fashion (in our digital age). By using eco-friendly products from the manufacturers Origami Pulse is upholding principles of sustainability. 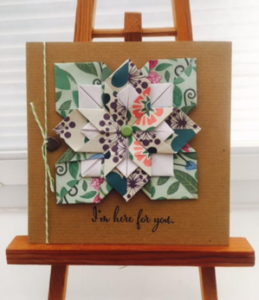 The creation of unique Origami cards and kits will allow people to make their own cards and engage in therapeutic activity whilst using environmental friendly products directly from the manufacturer. One of the challenges will be to incorporate digital technologies to the products. We hope to achieve massive social impact with reduction of work lost; improvements in mental wellbeing monitored in the local and wider community, a dedicated team of skilled people devoted to showcasing the benefits of Origami for Mental Health, peer to peer support in building a sense of community via a National network of Origami groups based in hospitals and other public places and a body of statistics evidencing how Origami directly improves mental state. The best outcome will be to get the support and publicity from the OpenMaker for our project Origami Pulse. We are setting up a Community Interest Company which will allow us to continue with our work beyond the 9 months of theprogramme. 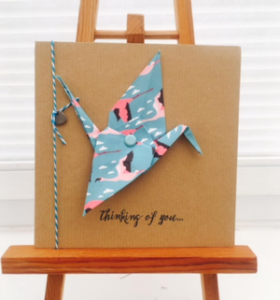 We will have a website dedicated to Origami and Mental health equipped for sales and posting messages, peer to peer support and requests for workshops, packs etc. Finally, any story you would like to share? Seven years ago, after my daughter was born, I was suffering from poor mental health. Whilst I was in Hospital I started to fold an Origami frog that I learnt when I was a child and in a short time I had a frog jumping around the table. The patients there quickly asked me to do a jumping frog for them to which I replied ‘I will teach you how to make one’. 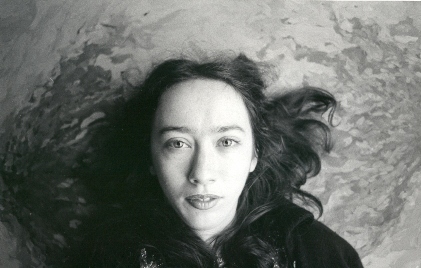 In that instant, we shared a moment of clarity, and my passion was reignited. "Sometimes the simplest things can be made extraordinary, by achieving them with the right people"